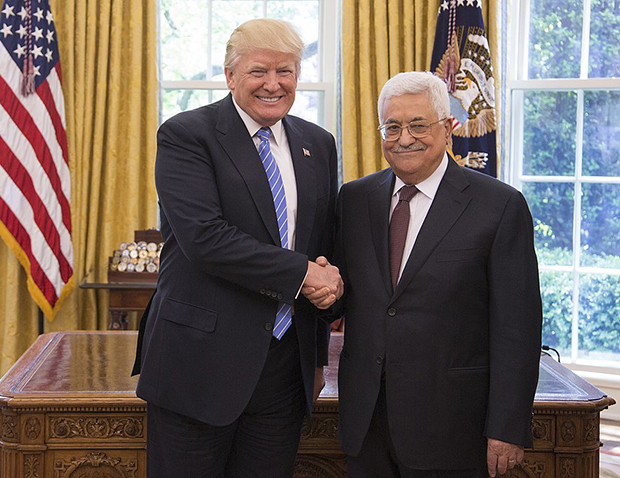 You are here: Home » News » Israel and Middle East News » Palestinian leaders reject President Trump’s Middle East Peace Plan. Palestinian leaders reject President Trump’s Middle East Peace Plan. President Trump has not even officially announced his new Middle East Peace Plan, but whenever he finally does, it might be dead on arrival because Palestinian leaders are already publicly criticizing and opposing it, which is somewhat surprising since it supposedly hands them control over east Jerusalem and allows them to establish the capital of their new state of Palestine there. We might soon see history repeating since previous Palestinian leaders have also rejected offers to give them parts of Israel. They have repeatedly rejected any plan calling for anything other than the total annihilation of Israel. The prophet Zechariah warned that whoever touches Israel touches the apple of God’s eye (Zechariah 2:8). He also warned God will make Jerusalem a heavy stone for all the nations and all who lift it will be severely injured. 2 “Behold, I am going to make Jerusalem a cup that causes reeling to all the peoples around; and when the siege is against Jerusalem, it will also be against Judah. Their saying they reject the peace plan because of Trump, is probably an excuse. They want it all or nothing. They were offered half of Jerusalem before and rejected it. I think they are hoping all the Arab countries will unite to defeat Israel, then they can walk in and take over. I think Middle East War is the only thing that will bring both sides together to sign the treaty, and for the temple to be rebuilt. Great job pulling these together Tom H.
Wow! really gets my thinking wheels turning, wonder what is next…perhaps there won’t be a peace plan until Trump is out of office. It is by GRACE and MERCY…honestly that the plan was rejected!! I don’t want our country responsible for dividing the land of Israel, I can’t even stand or agree with that decision…..
Hopefully, the plan will be put to rest, but if Trump proceeds with it, I doubt he will give up on it easily. He probably has some ways of enticing the Palestinians to go along with it. All their bellyaching might be posturing to get more from Trump in the coming negotiations. I guess that there is some question as to whether this is a true quote or not but it shows what we are headed for. Let’s hope that Trump does not split Israel. And as for NATO and the UN. An Israeli newspaper posted this also. Any division of Israel would be bad. Of course they want nothing to do with Trump’s peace deal as he has moved his embassy to Israel’s capital Jerusalem and he has stopped funding their terrorist organizations that teach their kids to kill Jews and rewards those that get killed while trying to do that with aid money. It seems like we dodged a bullet, still we have to stay vigilant and keep praying for Pres. Trump, this news is highly significant, though it begs the question, even if the plan is dead on arrival, would the plan simply being showcased constitute as “dividing the” Lord’s “land”? In any case, this is definitely a blessing. Seems as if the peace plan will be kept in storage till the anti-christ drops in, atleast that’s what it’s looking like. I’ve been interceding for Trump for the past 5 months that The Lord would put it on his heart to stand 100% with Israel and not have fear of man or pride and want to please the world. There was no breakthrough, like it was already a done deal, and that Trump’s mind was made up to not stand completely with Israel. So, I lost hope and instead have just been praying for mercy. Glory to God He has answered these prayers for more time despite Trump!! We may have more time/mercy to keep working in preparing the body for what’s coming as most people in our country (including all the baby christians) do not realize the detrimental ramifications of betraying and dividing Israel. France macron lead middle east peace if trump plan does not accept.